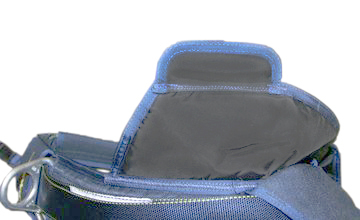 At the designing of the shoulder flaps a structure with additional flaps is employed. 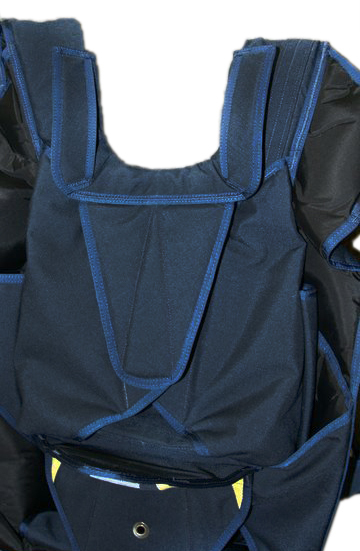 For this structure the pockets to tuck in the shoulder straps are placed not similarly to the classic structure - on the shoulders straps, but on the additional flaps which are placed over the risers of the Reserve chute. 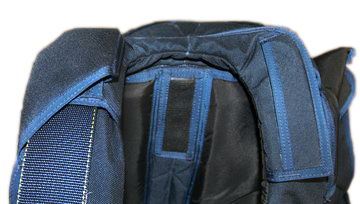 This provides the major advantage by reducing the volume of load of the shoulder strap folds in case if the Reserve was stowed non-optimally or if the chutes with size that had exceeded the estimated size were placed into the container. 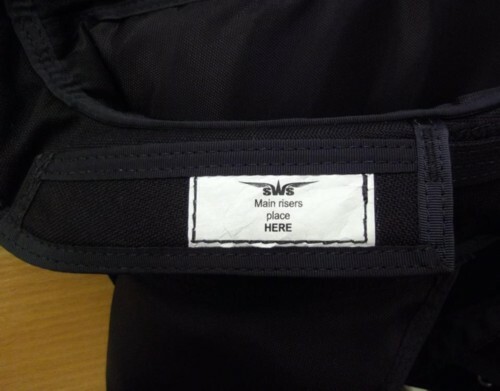 This efficiently solves the issues with accidental openings of shoulder flaps. 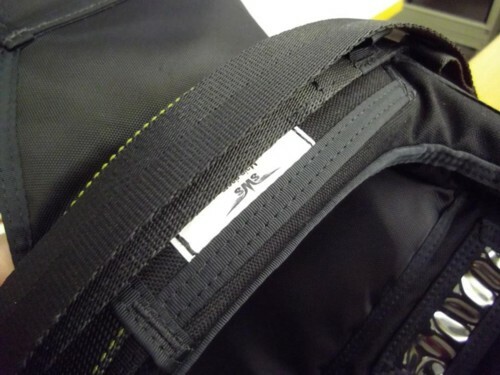 The shoulder flap lug is made as a separate detail that is sewed to the side rib. 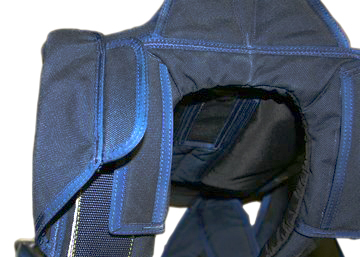 This allows increase the closing reliability as the shoulder flap does not load the lug which essentially increases its’ lifetime. 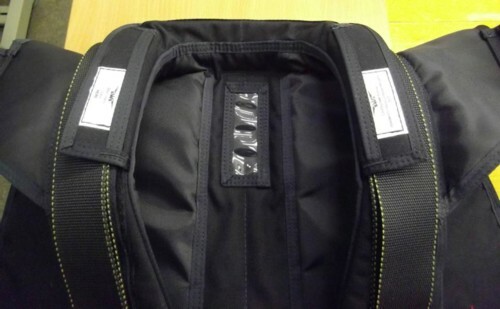 If for some reasons the lug is broken it may be easily replaced by any rigger with any simplest sewing device. 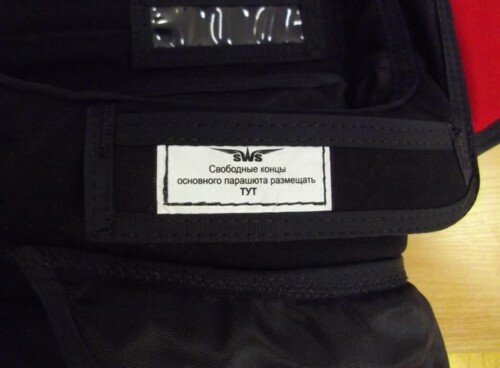 On the recommendation of the certification authority, from March 1, 2013, we have sewn tags on the riser cover pockets, indicating, where to place risers of the main parachute.